Shirts With Random Triangles: Baylor Donors Seek Return Of Art Briles After One-Year "Suspension." 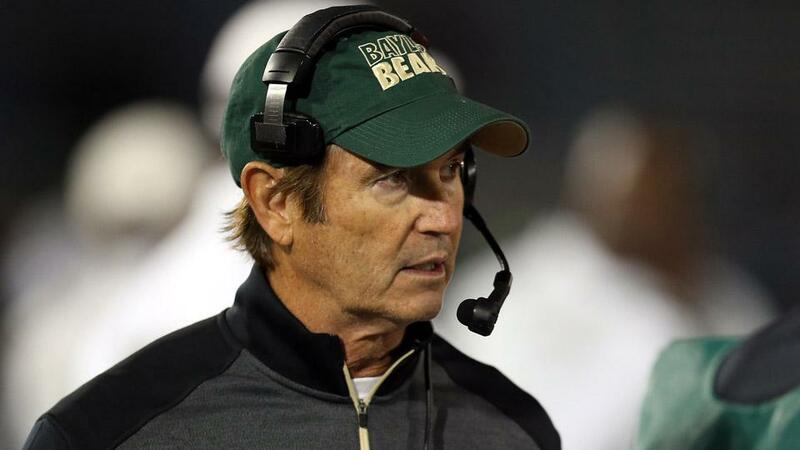 Briles was "suspended indefinitely with intent to terminate" by Baylor following the summary release of a report into allegations that Baylor football players had physically and/or sexually assaulted female students at the school. The report criticized the school's handling of the allegations. The scandal has also cost the job of former athletic director Ian McCaw, and the removal of Kenneth Starr as the school's president. Starr continues to have a teaching position at Baylor's law school. Bob Simpson, a Baylor alum and co-owner of the Texas Rangers, is the only donor named in any of the reports seeking Briles' reinstatement. A USA Today report describes the movement to reinstate Briles is made of "a small minority of Baylor donors," but that they do not have enough support among the Baylor Board of Regents for any action to be taken.